OUR MISSION: 4-H Camp TaPaWingo is dedicated to providing an opportunity for all ages to develop and practice a sound environmental ethic while using educational and recreational programs to instill a strong appreciation of nature and the wise use of natural resources. We also offer the opportunity for youth to gain leadership skills through volunteer experience, which will benefit the community. Camp TaPaWingo is owned and operated by the Manitowoc County 4-H Leaders Association and serves Manitowoc county and beyond. It is a not-for-profit organization dedicated to providing opportunities for youth to interact in a natural setting. Camp is operated with the philosophy that its facilities, programs and participants will be harmonious with the surrounding environment. Purchased in 1962, many of Camp TaPaWingo’s educational programs were in full swing by 1967. Although Camp TaPaWingo is a 4-H camp, it is open to all children, organizations, 4-H clubs and area families. Nestled along the East Twin River in northern Manitowoc County, campers enjoy beautiful scenery while experiencing the camaraderie of camp. Today the camp offers opportunities for winter, spring, summer and fall camping where youth can enjoy archery, outdoor sports, nature projects, games, campfires, arts & crafts and more. Camp TaPaWingo is also available for rental year-round to the public — excluding days the seasonal camps are in session. A lodge which includes dormitory space and kitchen facilities, a nature center and cabins are available for public or private functions. 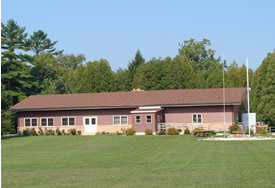 Camp TaPaWingo is directed by a Board of Directors, which meets the fourth Monday of every month at the UW-Extension office at 4319 Expo Drive, Manitowoc, WI.